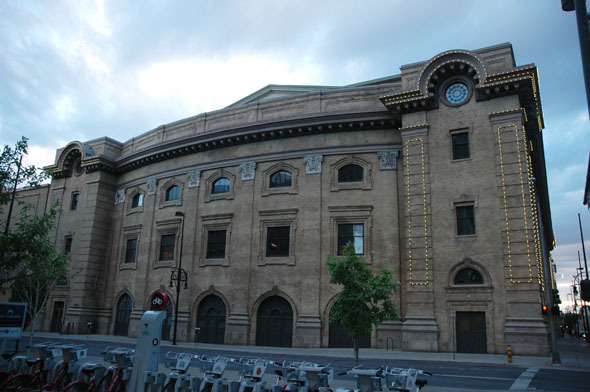 Originally, the building was a multi-purpose structure: it accommodated concerts, operas, theatrical shows, conventions, basketball, auto shows and even circuses. The proscenium of the original building was designed to be portable so as to create different-sized spaces for different events. When the proscenium was in place, the building was a 3,326 seat theatre with an extraordinarily large back stage area. When the proscenium was raised, increasing the seating capacity to 12,000, the stage and backstage area became large enough to hold circuses and rodeos. 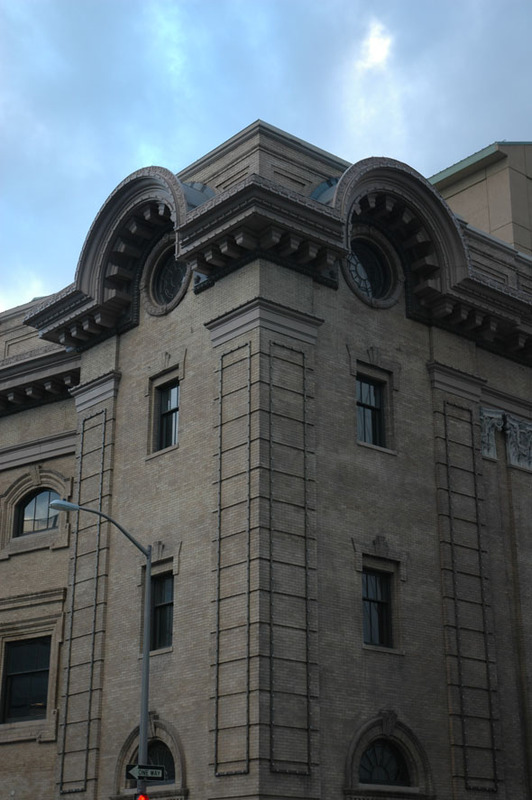 The Auditorium became the de facto opera house for Denver. For more than 75 years, until the 1980s and 90s when other halls opened in an adjoining complex, the Auditorium hosted almost all visiting opera companies and opera concerts, as well as local opera productions. 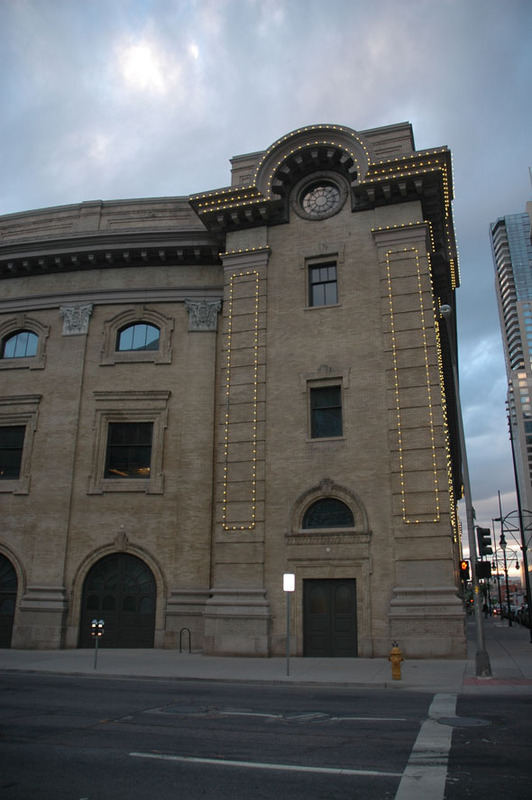 In the 1980s other theaters were constructed next to the Auditorium, including Boettcher Concert Hall, Bonfils Theatre Complex and the Denver Center Theatre, to which the Seawell Ballroom was added in the 1990s (these now make up the Denver Performing Arts Complex). The Auditorium arena received another makeover in the early 1990s when the Temple Hoyne Buell Theater was built into it. In need of major work, the Newton Auditorium underwent a renovation funded primarily through seat tax revenues collected at city-owned facilities and the proceeds of a bond issue approved by Denver voters in 2002. In all, the city spent $75 million, while private donors provided $17 million more. A gift from the Caulkins family was used to fund additional enhancements to the lyric opera house and adjacent public spaces inside the Newton Auditorium. Architect Peter Lucking created the performance space, described as “three tiers of balconies curve like lyres; uninterrupted sight lines from every seat focus viewers onto a deep, wide stage…. Sleek staircases and flying bridges pull patrons into the hall. Ellie Caulkins herself is quoted as saying “They say it was like building a ship in a bottle”.